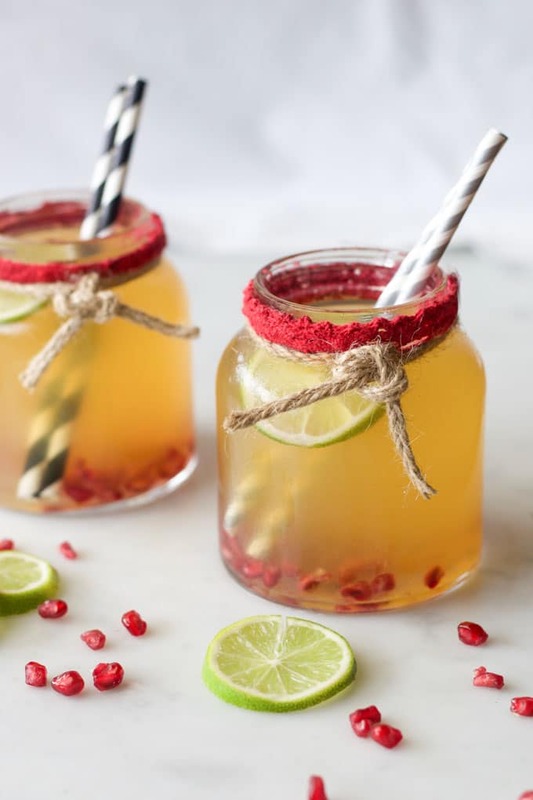 This mocktail for kids is perfect for the party season. Adults don’t need to be the only ones enjoying fun drinks over the festive season. This mocktail for kids is fun refreshing and delicious. Mixed with sparkling water, it is a healthier alternative to many mocktail recipes. 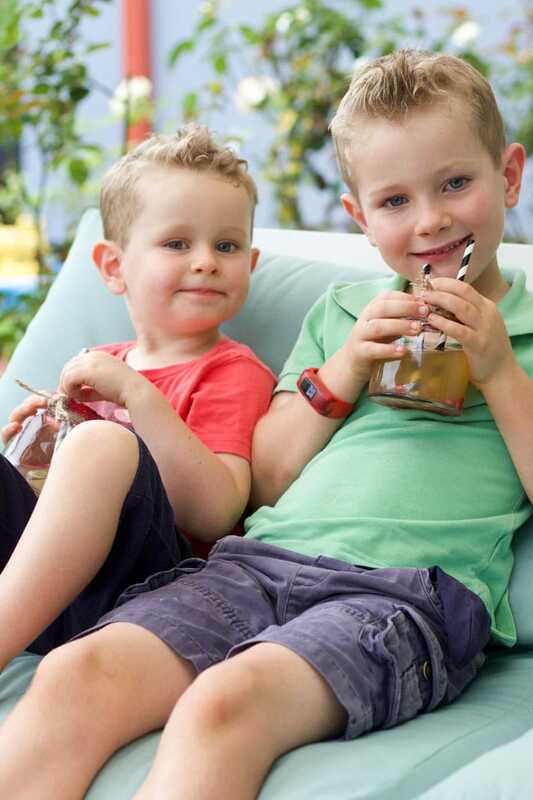 Are mocktails healthy for kids? The Oxford Dictionary definition of a Mocktail is A non-alcoholic drink consisting of a mixture of fruit juices or other soft drinks. Like most things, not all mocktails can be judged equally. 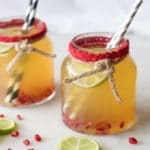 Mocktails high in fruit juice with added soft drinks, such as lemonade, will not be as healthy as those mixed with sparkling water. Australian dietary guidelines recommend restricting fruit juice intake to 125ml (half a cup) per day due to the sugar content. Juicing releases the sugars in fruit and removes the insoluble fibre. Fibre protects us against the effect of fructose by slowing its absorption, and also makes us feel full. Fruit juice is absorbed immediately as the fibre has been removed. Half a cup really isn’t a lot, this is why I like to make a mocktail for kids that is mixed with sparkling water. I usually mix fruit juice with sparkling water on a 1.1 ratio. This extends the drink but also adds some sparkle. As my children drink water 95% of the time when they do receive a mocktail, mixed with sparkling water, they are more than happy. If your kids are used to drinking a lot of fruit juice then you may have to play around with the ratios a bit. Start by adding just a small amount of water and gradually increase it. There is a big difference between fruit juice and juice drinks, always go for fruit juice and avoid the juice drinks with added sugar. Play with the juice to water ratio until you find something your kid enjoys. Try increasing the water ratio slowly. Vary the fruit juice used to change flavour and colour. Add a range of different fruits that the kids can enjoy eating once they have finished their drink. Try adding some herbs for extra flavour, mint works great in this drink. 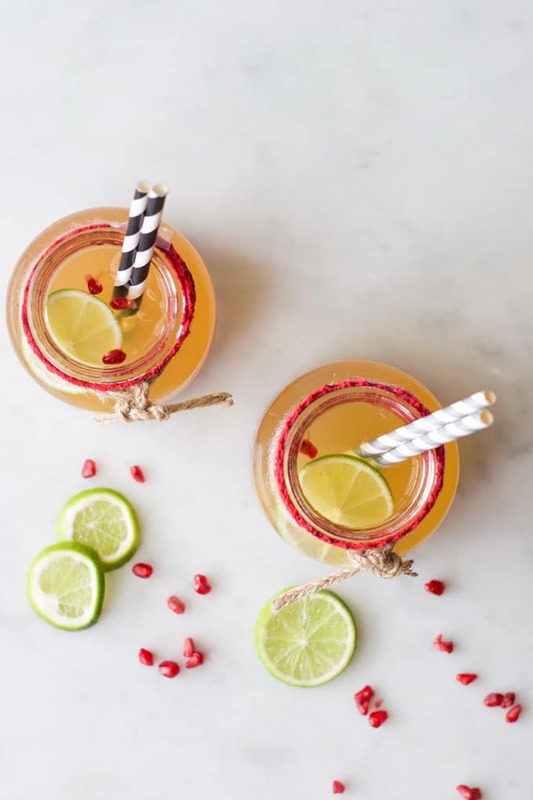 Make the drink special – serve in different containers, add straws, fruit skewer, stirrers etc. This mocktail for kids is fun refreshing and delicious. Mixed with sparkling water, it is a healthier alternative to many mocktail recipes. 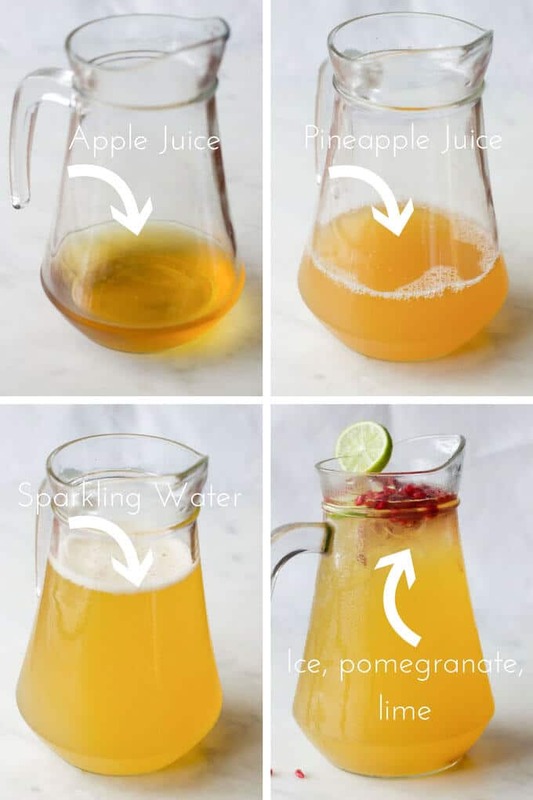 Add the apple juice, pineapple juice and sparkling water to a large jug and stir. Add the ice and then top with the pomegranate and lime. Nutritional Information is an ESTIMATE only, calculated using an online nutrition calculator. Values will differ with different brands. If you are looking for some other drink inspiration then why not check out my green smoothie or beet and berries smoothie recipes! Enjoying being the official taste testers and their early Christmas mocktail! How cute are your boys? My kids are older now, I miss that age. I’ll try this out on my 9 & 12 year olds this Christmas, thank you. Thanks Amanda, they have their sweet moments! This age is lovely, tiring but fun! Let me know what your kids think of it when you try. Merry Christmas! I love making mocktails for my boys and this one is delicious. I particularly like the fact that you use sparkling water to cut the sugar content.